Spencers Solicitors | Can longer queues in Accident & Emergency lead to negligence? Is it time to restrict HGVs to protect cyclists? Can longer queues in Accident & Emergency lead to negligence? 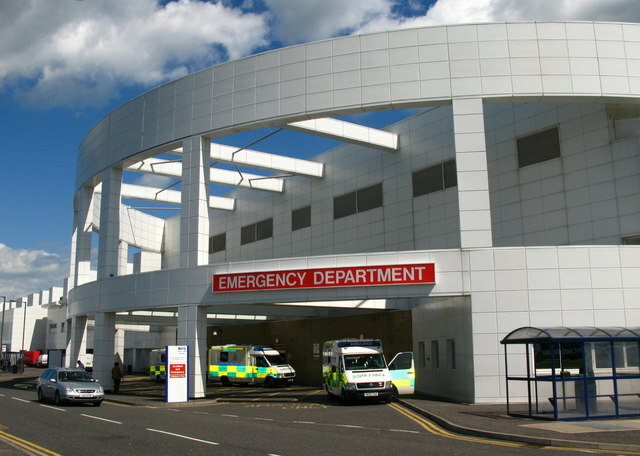 There has been a significant amount of media coverage recently regarding how overstretched our Accident and Emergency departments are and how queues, far in excess of the targets set for waiting times, are almost inevitable. The Telegraph recently reported that patients were facing an 8 hour wait in ambulances before entering A&E departments. Their investigation revealed during 2012/13 3,424 patients waited more than two hours before a 'handover' to hospital staff - compared with 2,061 such patients the year before. The paramedics, doctors and nurses who work in these Accident and Emergency departments probably feel under ever increasing pressure to deal with as many patients as they can, as quickly as possible to reduce these waiting times and meet government targets. People visit hospital emergency departments for all sorts of reasons. Despite publicity regarding the need to avoid attending A&E for anything other than a serious emergency, patients still arrive with anything from a bruised shin to a heart attack. This diverse range of injuries are usually prioritised by a nurse on the triage desk; it's that nurse's job to decide which patients need immediate treatment and which can wait. In anything other than severe emergencies, once the patient is sent through to the department from the waiting room a further nurse usually takes more details before a doctor attends to offer diagnosis and treatment. Children and people who cannot clearly communicate (perhaps because of pain or a disability, or because they have English as a second language) may be more at risk of being misdiagnosed or wrongfully discharged. As such there are several stages to get through before being treated, and at any one of those stages mistakes can be made. What can you do to minimise risk? * At the triage stage it is important to give as much information as possible about your symptoms and condition. No detail is too minor, and all the information will help the medical staff prioritise your treatment. * If English is not your first language or you are not confident at communicating the full extent of your injuries, take a family member or friend with you who'll be able to help. * Advise the hospital staff of your medical history as soon as possible. The sooner they are aware of allergies, previous medical procedures or medication you are taking the better their diagnosis and treatment will be. Any medical professional that works in a high pressure environment can make mistakes, and if you feel this has a happened to you, a family member or friend you should always asked for it to be investigated. In the first instance it is best to raise a complaint with the hospital itself, and each hospital will have its own complaint procedure. The hospital will investigate your complaint and provide a response within a given time. The patient advice and liaison service (PALS) can help you with this. However, if you no longer have any confidence in the hospital you can seek independent legal advice to consider whether there is any redress. If, you have had a poor outcome as a result of the mistake, it may be possible to obtain compensation and again it is best to obtain independent legal advice. From my time as a nurse I can vouch that patient care is the primary concern of every medical professional, from the person on the front desk of A&E to the board members of the NHS trust. However with an ever increasing workload and overstretched resource negligence cases are on the increase and we need to take action whenever care falls below the high standards set.